"We, the migrants, will explain the reality we are living through..." thus opened a press conference on November 27th, 2018. With hundreds behind them, representatives of the Central American Exodus in Tijuana spoke poignantly to the international media about the conditions that forced them to flee, about life under the U.S.-backed Honduran dictatorship, about violence and poverty and desperation but also about determination and action and resistance. They spoke with clarity. They laid out what they want and why before the world. 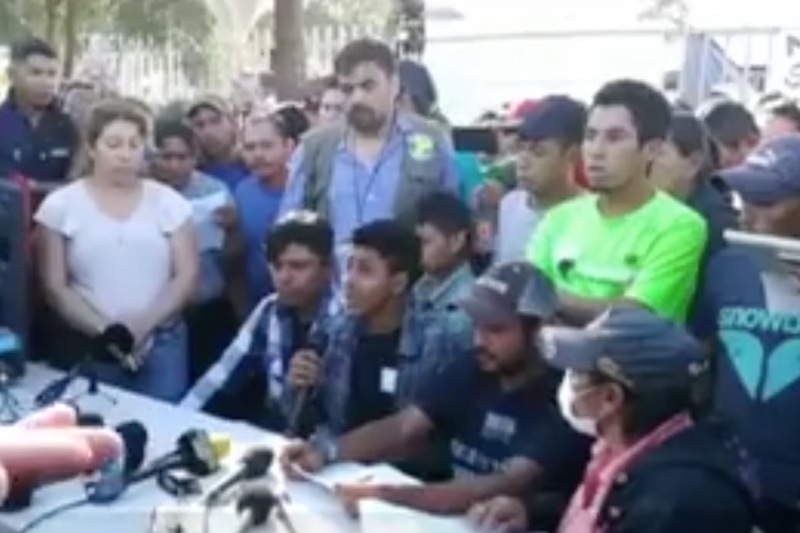 They did this with support from Honduran human rights defenders accompanying them who helped them to organize themselves, raise their voices and make sure those voices would be heard. Somewhere between the story of the caravan as an invasion and the story of refugees as passive victims lies the true story of a people of resistance and resilience. There is the truth of a people who despite coups, electoral fraud, U.S. intervention, corruption and plunder, continue to resist, and have now even turned the act of fleeing into an act of resistance. From the beginning of the Central American Exodus, there has been chanting, organizing through assemblies, defiance of unjust authority, and a constant expression of the will to survive and to do so by sticking together. The Central American Exodus may have forever changed the face of migration, turning individual vulnerability into collective power and protection. It has done so with the accompaniment of the social movements that for so long have been fighting the conditions and policies that force people to flee in the first place. But while there are plenty of people willing to provide charity for basic needs, a real solution will require an ongoing struggle to address the root causes forcing people to flee. No voice has more power to speak to those causes than the refugees themselves, and nobody is better positioned to help lift up that voice than the social movements and human rights defenders from their own countries of origin. La Voz de los de Abajo has been working alongside Honduran social movements for over two decades. We are raising funds to support dedicated human rights defenders from Honduras and rooted in Honduran social movements so that they can continue the essential work of accompanying the Central American Exodus, supporting organizing within it to effectively use its voice to both secure a safe future for families who have to flee and also push to eliminate the conditions that force people to flee in the first place. 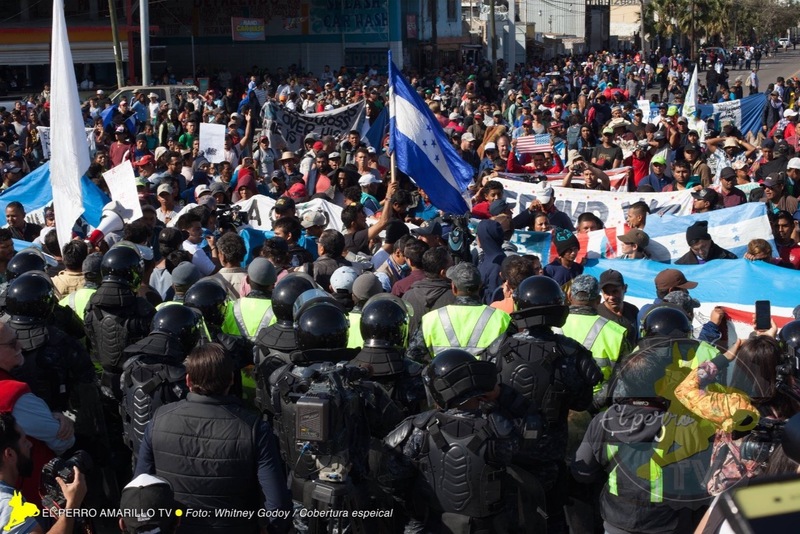 Funds will be used to cover travel by longtime grassroots human rights defenders from the Honduran social movements between Honduras and Mexico so that they may continue their accompaniment of and support and advocacy for the people of the Central American Exodus.